And so to the cocktail. Even more local than the hooch is my back garden, where I have a bumper crop of rhubarb. 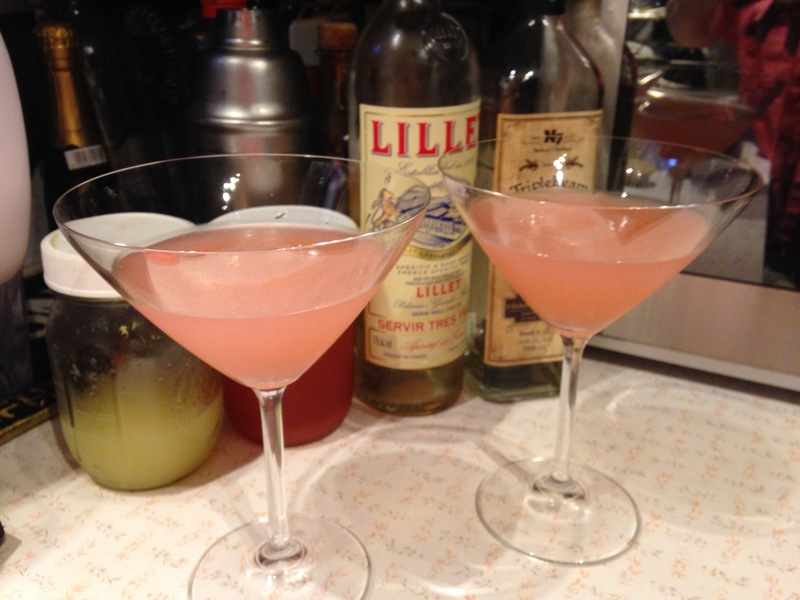 I made a rhubarb syrup this week as well, and decided to do a gin-based cocktail to celebrate late spring. The intense botanicals of the Triple Beam work well here; since the only place this gin is currently available is at the distillery, you can substitute another juniper-heavy gin. Shake ingredients well over ice and strain into a chilled cocktail glass. 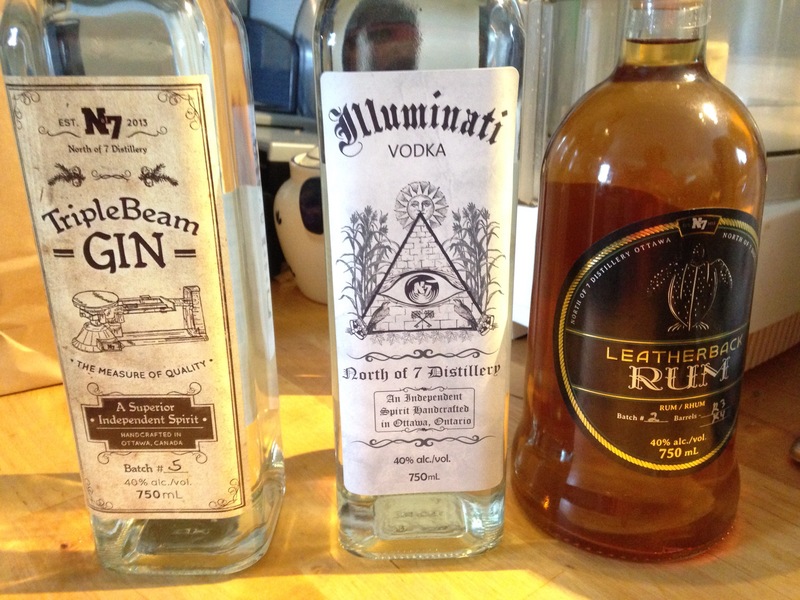 Here is the round-up of local hootch cocktails! Not alcoholic, but delicious. See my Spring Fling recipe for rhubarb syrup instructions; the soda is courtesy of my trusty SodaStream. You could throw in some vodka and lime juice to make a boozy cooler if you wish. I just added some ice and strawberries. Happy Canada Day Weekend! Make rhubarb syrup in advance: bring 4 cups chopped rhubarb, 1 cup water and 1 cup granulated sugar to a rolling boil, then turn down heat and simmer c. 15 minutes. Fine strain juice into a clean jar (retain pulp as a rough rhubarb jam or use in tarts).